The blurb that goes with this New Idea soup recipe says “A lovely soup which can be served hot in the winter months or chilled in the summer”. Personally I don’t think soup should ever be eaten cold, I like it steaming hot, but, I’m willing to accept that it might be to some people’s taste. Either way it’s an unusual way to cook cucumbers………….. 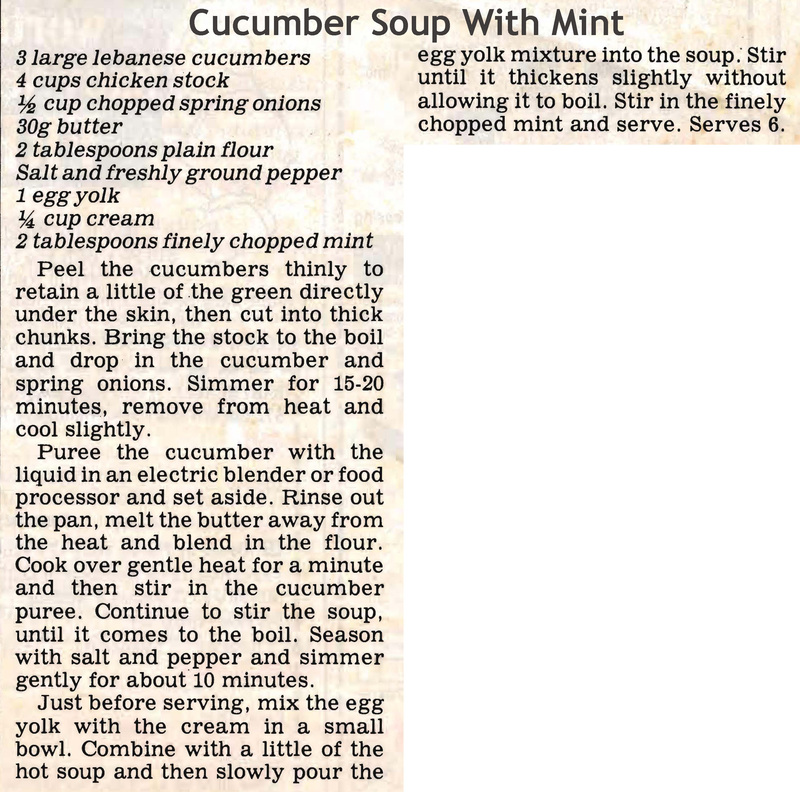 This entry was posted in All Recipes, Soups & Starters and tagged 1990s, chilled cucumber soup, cucumber soup with mint, hot cucumber soup by bebsrecipes. Bookmark the permalink.